For the Cannabis Industry the ability to accept credit cards is essential. However, due to Federal regulation, unclear banking guidelines, and wildly different local regulation there are many vague points as to whether there is a legal solution for the cannabis industry to accept credit cards. The Merchant Doctor now proudly offers transparent credit card processing solutions for ancillary services to the cannabis industry AND to all plant touching businesses. Prior to the Merchant Doctor’s cannabis merchant services solution a vast majority of the dispensaries, delivery services, cultivators, processors or any other cannabis industry business were unknowingly accepting card payments illegally! 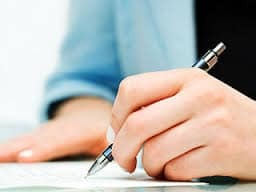 This is because often times their merchant service provider altered the true nature of the business and hid the account in an aggregate merchant account (an account that houses multiple merchants). This practice is considered bank fraud, is not a sustainable solution for the business owner, and can have huge penalties. Other cannabis merchants have been able to find solutions off shore or with stored value vaults – both practices are money laundering – period. In order for a merchant account to be transparent the acquiring bank MUST be fully aware of the nature of your business – no matter how much you would like your business CANNOT be considered a “Flower Shop”….. The Merchant Doctor offers multiple cannabis payment solutions – in this blog we will look at our cashless ATM solution. But first why is it important that the cannabis industry be allowed to accept credit cards in the first place. So what’s the big deal? 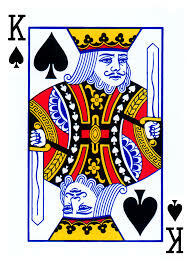 Cash is King in Cannabis, right? Unfortunately not in today’s business environment. Not only do customers/patients expect to be able to pay by credit card but for many patients who are a limited or fixed income using a credit card is the only way they can get access to the medicine they need, when they need it. Most business owners that are involved in the Cannabis industry are truly passionate about promoting and legitimizing the industry and part of that process is winning over the public’s perception of cannabis as a business. How does being able to accept card payments help that process? First, and foremost, it addresses one of the biggest issues facing communities and legislators when it comes to the cannabis industry – safety. Safety, not only for the business and its patients but for the community as a whole. The proof is in the headlines of local and national news every week as dispensaries, delivery drivers, and their patients are getting robbed, sometimes violently. As you know you are being targeted by these criminals because they know that there is a large amount of cash on site and in the hands of your patients. These kind of headlines are extremely detrimental to the health, public perception, and growth of the industry. Another issue is that cash sales can be difficult to track and document not only for maintaining control over your business but to make sure that you are maintaining records that meet your local compliance regulations. Finally, being able to accept card payments is proven to increase sales and customer return visits making your business more profitable! How can you legally make your cannabis business safer and more profitable through accepting card payments? Simple! Also known as Point of Banking, a cashless ATM is a 100% legal solution for the cannabis industry to accept card payments. 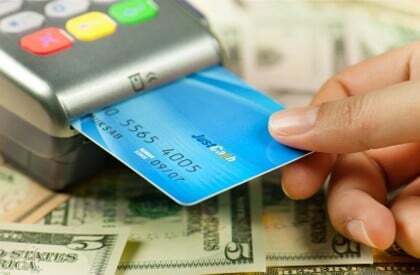 In short your business is provided a credit card terminal that is programmed to accept PIN based transactions only. Generally, payments can be accepted in $5 dollar increments because the payment is process on the debit network and not through the interchange network. Why is it Legal for the Cannabis industry to accept Debit Cards? There are a few reasons for this but for the sake of not boring you with the intricacies and agencies involved with accepting a credit card payments lets look at it like this. 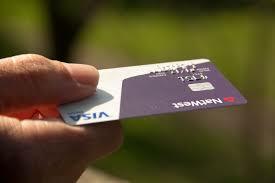 An ATM Card payment runs along independent rails and is considered for all intensive purposes a cash payment. A credit card transaction has to run from your place of business through your processor, then onto the Interchange System so it can be directed to the card issuing bank where it is approved or not and sent back through the system. A credit card payment is actually like a micro loan issued by the card issuing bank, therefore, placed under the scrutiny of Federal law – which as we know is vague at best when it comes to banking and marijuana – since it is a federally controlled substance. How Can a Cashless ATM benefit your cannabis dispensary, delivery service, or Cannabis B2B business? Simple! I has been proven that customers who are empowered to pay for goods and services with plastic spend more (23% more as a matter of fact! ), they come back more often, and they purchase more impulse buys (think lollipops, pipes, papers, you name it). Now let’s talk about safety. 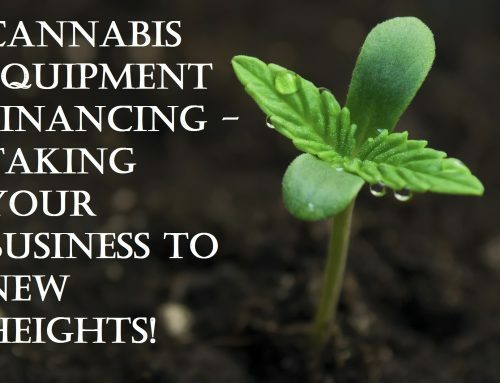 Whether you are an established location or a new cannabis business looking for a location a cashless payment method should be an integral part of your business plan and proposal to show that you can operate an establishment that will not attract thieves, keeps your employees and patrons safe, and that it can operate in a transparent fiscally responsible way. Finally there is the cost! Unlike with a traditional merchant service account with a cashless ATM there are no complex rate structures and compliance issues to pay for. A cashless ATM is actually much less expensive than a traditional merchant account! How does a Cashless ATM work? Most cashless ATMs work exactly the same although the pricing and service can vary. This makes it very important to only work with an established merchant service provider like The Merchant Doctor! The process is simple and seamless – when a patron comes to your counter to purchase their medication they will swipe their card and enter their PIN number (just like at any other retail store) and make their purchase rounded up to the nearest $5. Then you will provide change for the difference as if it were a cash back transaction. The reason for the $5 increment is that the ATM debit network will only support ATM functionality in $5 increments (unlike a PIN based transaction that goes through the interchange system). How much does a cashless ATM system cost for your cannabis dispensary? 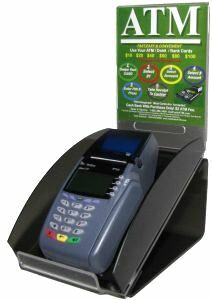 In general the only up front cost you will have is to purchase the encrypted terminal and PIN pad combo directly from the processing bank ranging from $400 for a standard unit to over $650 for a wireless unit (for delivery services). Then, just like with any ATM there is a convenience fee charged per transaction which generally totals around $3.00, however, I have seen some processing companies trying to charge up $7!. If you are using a wireless unit (delivery services for instance) you will need to pay for wireless network access which varies from $25 to $35 depending on your cashless ATM provider. Other than that the only cost you will have is monthly fee – these can vary greatly but will range from $8 to $35 a month. That’s it! Simple Pricing and all the benefits of empowering your patrons with a cashless payment method which is good for your business, for safety, and the professional image that the cannabis industry deserves. The Merchant Doctor provides the most comprehensive network of services for the cannabis industry from banking, leasing, to cashless ATMs. If you would like a no bull consultation for your business simply CONTACT US!